Alan Armstrong (b. 1986). 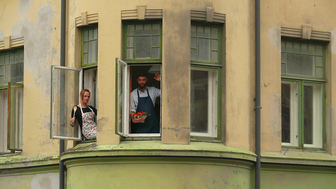 Lives and works in Oslo, Norway. Armstrong’s practice evolves from an ongoing interest in the relationship between the pictorial conditions of historical narratives and its relationship to situational and social contexts. Spanning across video, performance, photography and sculpture Armstrong’s work often references specific events and locations as starting points for a practice that often manifests itself through humorous and obscure situations. Bishopsgate Institute, London, 2012; Flight of the Dayton, Cadwell Park, Lincolnshire, screened at Nottingham Contemporary 2011. Artist duo, Martinka Bobrikova (b. 1981) & Oscar de Carmen (b. 1976), has been working together since 2005. Their artistic practice is located in the act of transcending the boundaries between art and research. The main theme is related to transitory and utopian. They graduated from Malmö Art Academy in 2012 and since then they have been more or less nomadic with major base in scandinavia. Recent exhibitions: Hunky Dory, Karlin studio, Prague (2013); Constant. Decay. Rake, Trondheim (2013); Urban Hunter, Nitra gallery, Nitra (2013); Monochromes and other Chroms, Kurant, Tromso (2012) and Soundings, Museum of Contemporary art, Roskilde (2012). and often collaboratively, her founding is in performance, with close relation to other medias such as sound and installation. Her works are visual and aesthetic in character and can be read as abstract anecdotes or metaphors that attempt to convey a recognizable atmosphere. She is curiously concerned with ontology and recurring qualities in her work is the apparent collapse and expansion. It is exposed and accessible, yet veiled at the same time. Benedicte is presently a student at the Fine Art department at the Bergen National Academy of the Arts in Norway and has shown works solo, in group shows and at international events and festivals. September 2013 Benedicte showed work in New York, at Grace Exhibition Space, and is returning to NYC to show work at Panoply Performance Laboratory, November 16th 2013. Invited by The Lincoln Art Programme she showed a site specific performance in Lincoln UK, May 2013. To present complex contents, situations and moments in a simple and elementary way is a signature of the art of BBB Johannes Deimling. ,Performance Art Povera' is a logical term that describes Deimling’s performative works and the meeting of a made reduction to the essentials or Elementary with the consideration of the audience, as an extension of what is shown, justifies his artistic position. These are the intersections that inspire and provoke his approaches to the perception of aesthetics, concept and content of his work. Those ‘acted images [agierte Bilder]’ of the artist are initially created purely visual, but gradually access to all the senses to create a holistic view on the banalities of everyday life with all its changes. The teaching of performative processes is an art form for Deimling that he exerts just as professional as his own artistic work. Since 1988 he has been active in the fields of performance art, video, film, drawing and representing this. 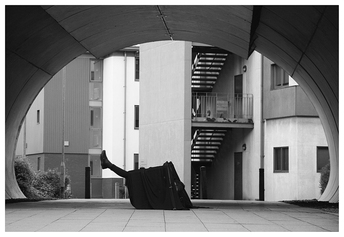 For over 15 years he invests much of his artistic research into the teaching and learning of performative processes. 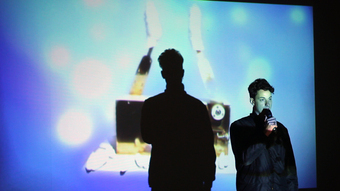 In 2008 he founded the independent educational and artistic project PAS | Performance Art Studies, which he leads since today. Since 2012 he is working at the NTA – Norwegian Theatre Academy at the Østfold University College in Norway as associate Professor for Performance Art. Arti Grabowski (b. 1977) is living in the ‘Performer street’ in a small village close to Krakow in Poland. He dedicated his artistic and as well his non artistic life to Performance and Action Art. 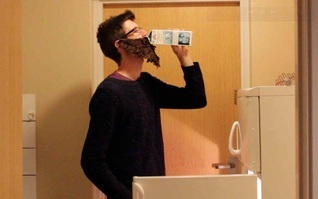 “I am a performative animal” he states and this might be the reason of his vivid and enormous CV. He graduated from the Academy of Fine Arts in Krakow, Poland, where he obtained a Diploma (MA) at the Multimedia Department by Professor Antoni Porczak. Currently he is working as assistant professor at the Performance Art Laboratory at the Intermedia Department, Academy of Fine Arts in Krakow led by Professor Artur Tajber. In the past 10 years of his artistic activity he realized over a hundred of actions and performances - always strong, absurd and with a typical sense of humor as well as with thoughtful criticism. He took part in many of the most important Performance Art-, Theatre-, and Video Art Festivals in Europe, Asia, North and South America. 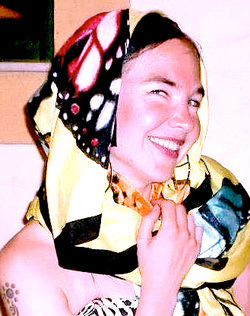 Arti Grabowski is also working as a curator for Performance Art and has curated various festivals and events with a distinct quality of presenting Performance Art as an art form that matters. 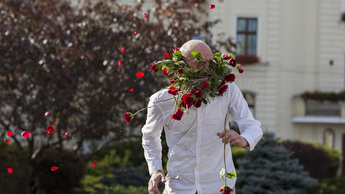 With curating the 13th International Art Action Festival INTERAKCJE at Centre for Art Action in Piotrków Trybunalski, Poland and a lot of other Performance Art events more Arti Grabowski has shown that his dedication to this art form is beyond a regular engagement. Tonje Lieberg (b. 1977) (PAO) is a flamenco dancer and is working with dance as a starting point in her performance works. By combining her experience in flamenco and everyday activities, she explores the artist's role and questions the time and the society we live in. Lieberg is also a trained art historian. Terese Longva (b. 1976) is an interdisciplinary artist that looks at different aspects of the human condition such as: how we construct different Selves in reaction to varied expectations of society and how we constantly struggle to learn our social roles and at the same time break out of them to know ourselves. Her work has been shown in various venues like Big Orbit, Buffalo NY, Microscope Gallery, NY, Gallery S12, Bergen, Bergen International Festival, the Arts Festival of North Norway, and at Grace Exhibition Space in NYC. Longva holds a degree from the New York State College of Ceramics at Alfred University. Since 2010, Terese has collaborated with US performance/installation artist Laurel Jay Carpenter in the collaborative partnership Longva+Carpenter. As artists, Longva+Carpenter share interests in site, duration and the accumulation of action. Gustaf Londré (b. 1985) is an artist working with performances, interventions and installation in the exploration of language both as speech and that, which constitutes the experience of space. In his work language takes it forms in the in-betweens: the slip-ups and the lapses. It is something that is transformed and re-invented in the situation when it is performed. Elisabeth Mathisen (b. 1961 in Oslo). Educated at Statens kunstakademi in Oslo (1989-94). Mathisen is best known for her video and performance works from early ´90 when she explored performance and the camera based medium as a alienating element. In 2010 she started the environmental project «NYTTIGE KUBER» (Useful beehives) which is a bee farm in Ådal. The prosject becomes a source of information for artistic praxis where she also explore the dialogue between art, life and different social spaces. 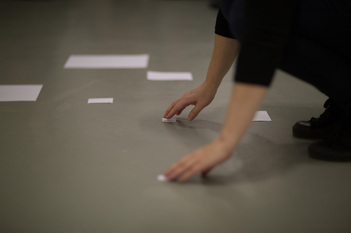 In her performances Mathisen is exploring time and material within the context of meetings and encounters with people. From a simple performance idea she opens for situations and space, intuitive action and response, slow, free, poetic and independent. Mathisen is inspired by various sources such as life in the compost bin, sidewalks, beehives as well as objects from culture and industry. In the performance "ALT ER FORGJENGELIG" she used nettle, earth, food, earthworms as material. Inger-Reidun Olsen (b. 1976) , is an Oslo-based performance artist, choreographer and dancer. She has a 3 year education in choreography from SBH, National Academy of Oslo and a two year degree from one-year Pre-study of dance in Oslo (which today is School for Contemporary Dance). Since 2003 she has worked with her own artistic projects and performances as well as participate in other collaborative projects both as a choreographer and dancer. In recent years she has worked more specifically with projects within performance art. The project Re-Action, addresses the issues connected to power, in a micro - and macro perspective. Re-Action has been shown on 12 occasions, among other at NOospehere Gallery in New York. 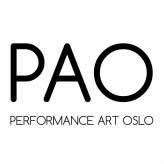 Participating artists for Re-Action at the PAO festival: Marianne Skjeldal, Kristin Holand, Thomas Gundersen, Geir Hytten, Marie Bergby Handeland, Bjørn Thevik and Inger-Reidun Olsen.